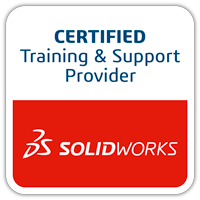 When installing on a new machine or upgrading to a new major version of Solidworks it can be tedious to get the settings and shortcuts how you like them. 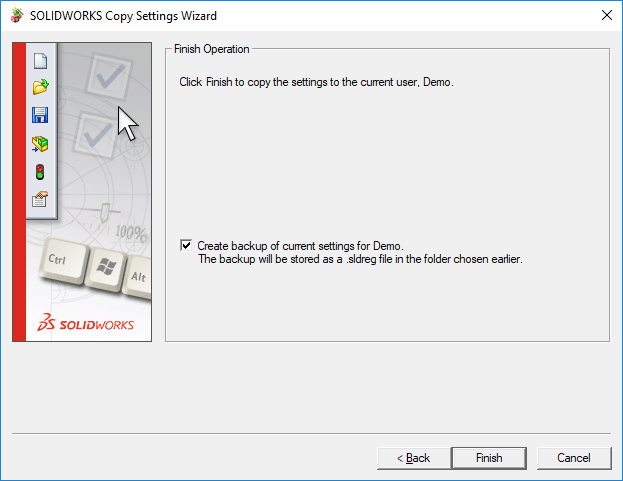 The copy settings wizard is here to help., this tool is used to save current settings as well as restore old settings. 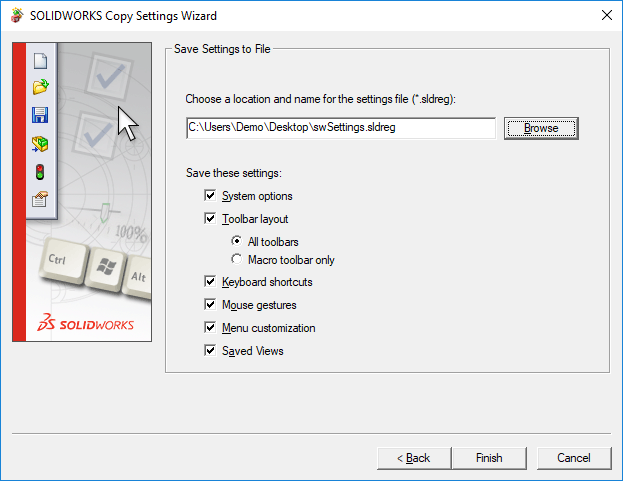 Choose what settings you would like to save from your current user. And the file location for where you want to save the settings file. This file can then be put on to a network drive or transferred to other machines. Once the file has been saved and transferred, load up the copy settings wizard on the target machine. 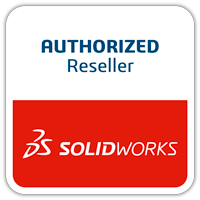 Select restore and click next. 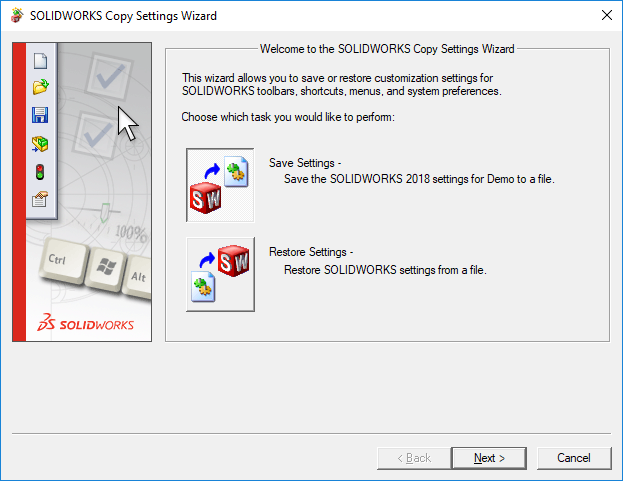 On the final page you are prompt to create a backup of your current settings, this will allow you to restore back in case the wrong settings are restored. This will complete the process. This entry was posted in SOLIDWORKS, Tech Tips and tagged Copy Setting Wizard, SOLIDWORKS.